Parkview Health in Fort Wayne, Ind., uses a comprehensive onboarding process that significantly reduced first-year turnover, helping the provider keep employees engaged, improve care continuity and lower labor costs. The nine-hospital system gave managers a toolkit that includes periodic check-ins extending beyond 90 days, solutions for common answers to concerns about retention questions and suggestions on how to cater the process to each of its more than 10,000 employees. It gives managers a significant head start, said Dena Jacquay, chief human resources officer at Parkview. "It also helps Parkview ensure that key milestones are handled consistently across the system," she said. Parkview Health is one of many systems actively addressing high turnover and labor shortages. As providers transition to value-based care and aim to reduce unnecessary care variation, employee engagement strategies can bolster patient satisfaction, maximize Medicare reimbursement and instill a culture of safety measures at an organizational level, according to a new study from the consulting firm the Advisory Board Co.
"Hospitals and health systems should not overlook the role of employee engagement," said John Johnston, national partner of consulting at the Advisory Board. Having more-engaged employees translates to happier patients, research shows. For every 1% increase in engagement, hospitals saw a 0.33-point improvement in patient satisfaction assessments, which can increase Medicare payment by up to 2% and draw new patients. Each 1% increase in engagement also correlated to a 0.41-point gain in patient safety grades, data show. Engaged employees are three times more likely to receive top performance ratings than disengaged employees. "Improvement is possible from any starting point," said Sarah Rothenberger, a managing director at the Advisory Board who leads its employee engagement work. The study debunked several perceived barriers that potentially limit patient engagement. Hospitals should not assume that traditional demographic factors render poor engagement inevitable, researchers said. Providers with more union employees versus others without union workers showed similar gains in engagement when they implemented new strategies. Those that already had engagement initiatives also showed significant improvement, research shows. Hospitals and health systems should not settle on engagement benchmarks used in other industries because healthcare employees are more than twice as engaged than workers in other sectors, researchers said. The laboratory, surgery and nursing departments present the biggest opportunities to boost engagement, according to the study. 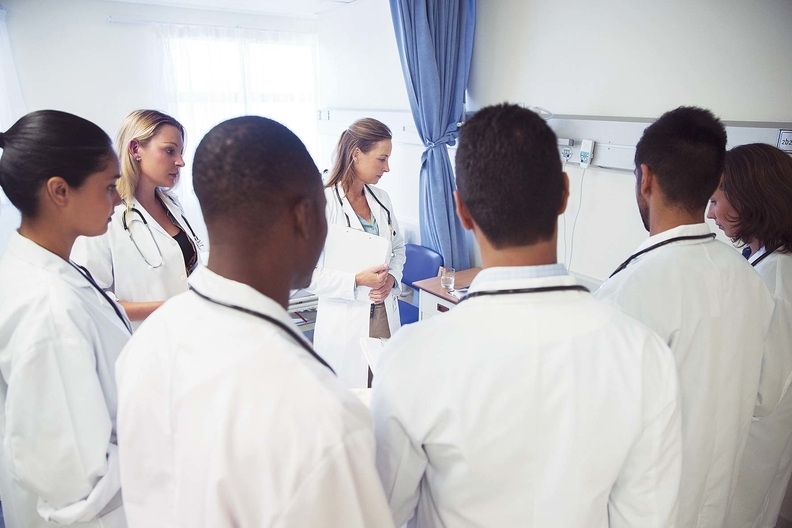 Organizations should use healthcare-specific benchmarks down to the nursing unit level and not write off any specific department as a lost cause, researchers said. Aside from its engagement toolkits, Parkview also implemented workshops to develop frontline staff into independent leaders who can bolster engagement. Frontline staff worked alongside managers and higher-ups during the half-day workshops to brainstorm how self-knowledge, strategic agility and peer relationships can translate to their day-to-day workflow. The system is also careful about the implications of certain language and refers to all staff as co-workers to emphasize teamwork. Parkview will continue to review its engagement strategies to ensure it is best prepared to address "the critical challenge of turnover to improve organizational performance," Jacquay said.